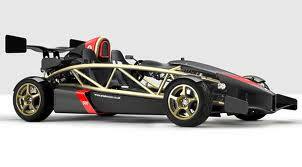 Quickest production car in the world Ariel Atom V8 500 -  0-60 mph: 2.3 0-60 times and figures and specs. Ariel Atom Engine & Transmission | Figures & Specs. Ariel Atom Engine: The - version of the Atom model has a 3000 cc (183.0 ci) 32 valve V8 N/A Petrol engine. Ariel Atom Transmission: This particular Ariel Atom V8 500 has a 6 speed/ Paddle Shift gearbox with the power being delivered through it's RWD system. Ariel Atom Power & Torque | Figures & Specs. Ariel Atom Power: The Atom's 3000 cc (183.0 ci) engine reaches its peak power of 475 bhp (354 kW) @ 10500 rpm. Ariel Atom Torque: The Ariel Atom produces torque measuring 284 lb-ft (644.0 Nm) @ 7750 rpm. Ariel Atom Power to Weight: The Atom weighs around 550 kg (1212 lb). Power to weight can be calculated at 863.6 bhp per metric ton or alternatively as 516.3 lb-ft of torque per ton. Ariel Atom Top Speed & Acceleration Performance | Figures & Specs. Ariel Atom Acceleration: This Atom accelerates 0-60mph (96.6 kph) in 2.3 seconds or 0-100kph in 2.4 and can achieve an estimated 1/4 mile drag time in 8.99 seconds with a trap speed of 152.2 mph. The quickest car in the world for 0-60mph times is currently the amazing Ariel Atom V8 500 -  model. This version has a Petrol powered 3000cc V8 engine with 32 valves. The huge power and immense torque from this V8 beast are managed by 6 speed/ Paddle Shift. The tyre shredding, tarmac melting forces are driven through it's RWD system. The G-forces produced when accelerating ram you hard back into your seat and keep you there way past the 'blink of an eye' 60mph benchmark. The experience can be quantified by the power and torque statistics. Power (bhp) weighs in at an eye-popping 475 bhp (354 kW) @ 10500 rpm, and the torque measuring a wopping 284 lb-ft (644.0 Nm) @ 7750 rpm. Combine this with a featherly weight of aroung 550 kg's, is it any wonder this car has the current title of the fastest production car 0-60mph in the world. This overall package propels the Ariel Atom V8 500 -  to a top speed of 170mph, but more importantly the carbon clad bullet has a 0-60mph time of a staggering 2.3 seconds. The quickest car in the world but for how long? 0-60 in "less than 2.3 seconds". 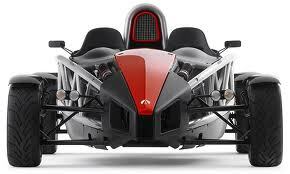 Ariel announced in February 2008 its latest Atom, the Ariel Atom 500. It features a 500 horsepower 3.0 litre John Hartley designed V8 engine, carbon fibre body panels and aerofoils, chromoly aerofoil wishbones, integrated function steering wheel, Alcon four-piston brake calipers, and Dymag magnesium wheels. The engine weighs only 90 kg and is connected to a Sadev 6-speed sequential gearbox. During the development process the RS performance engine was replaced by a unit prepared by Hartley Enterprises. Ariel claimed at the time of release that the 500 would accelerate from 0 to 60 mph in "less than 2.3 seconds". Atom like beginnings as a student project. The Atom began life as a student project by Coventry University transport design student, Nik Smart. Known at the time by the acronym LSC (Lightweight Sports Car), the early Atom was developed at the university in 1996 with input and funding from various automotive industry members, which included British Steel and TWR. 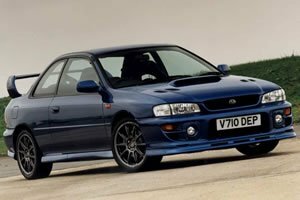 The car was first shown publicly at the British International Motor Show at the NEC in Birmingham in October 1996. Not just fast in a straight line. Whilst the Atom possesses vastly impressive acceleration skills to say the least, the Atom is not just fast in a straight line. 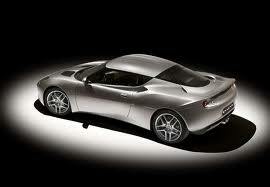 The Atom's suspension was tuned by the engineers at Lotus, and is derived from single seat racing cars. Fully adjustable suspension, the Atom comes shipped with both front and rear double unequal length wishbones and inboard, pushrod-operated dampers. The front and rear Bilstein dampers are also adjustable. This overall package makes the Ariel Atom one of the quickest street legal cars ever, well, 0-60mph anyway. 0 to 60 mph in 2.3 secs - Say No More. Expect wind burn, but not from the air con.